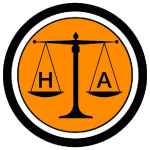 The Harlow Alliance Party was launched on 26 January 2018 and within days began work to field three candidates in the local elctions held in May. 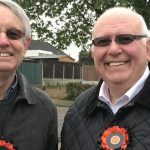 New members have continued join the Party and at short notice HAP fielded two candidates at the local elections held in November. In all, over 550 residents voted for HAP in these elections and the Party hopes to build on this early success in the coming months. During 2018 The Harlow Star produced a question and answer section for local politicians and HAP provided over a dozen responses, all but one of which were printed, raising the profile of the Party. HAP along with over 180 residents objected to plans to build on a play area adjacent to Bushey Croft and held a demonstration at the Civic Offices on the night that the Planning Application was discussed. Councillors from both the Labour and Conservative Parties agreed to the officers recommendation to give Planning Permission. The Party organised a petition objecting to Harlow Council’s Local Plan, which will see a number of play areas and open spaces being turned into housing developments. This was signed by over 380 residents, but despite this, to date these sites remain on the Plan. The Party will be making representations to the Governments appointed Inspectors who will determine whether Harlow District Council’s and Epping Forest District Council’s Local Plans are compliant. These hearings are due to commence in February.